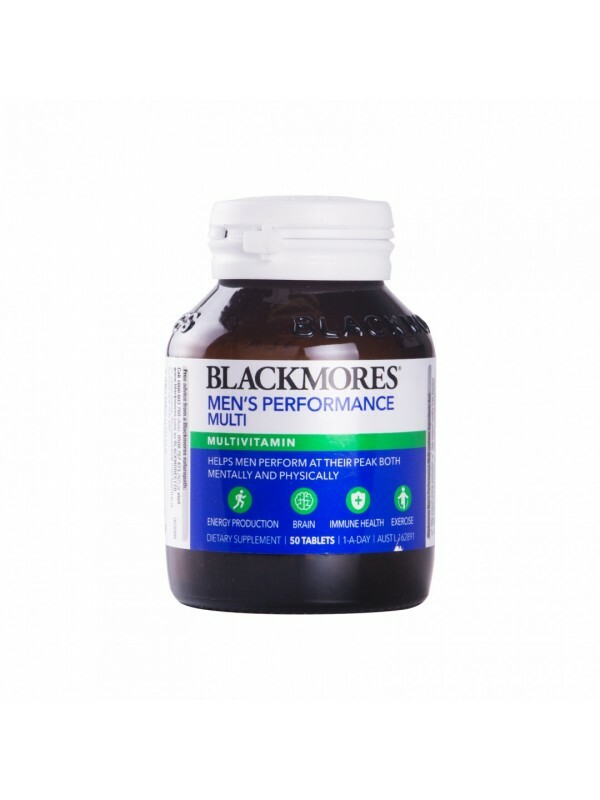 Blackmores Men's Performance Multi is a comprehensive multivitamin and mineral supplement, with 21 ingredients, specifically formulated to help support energy levels for men's active and demanding lifestyles, to help men perform at their peak, both mentally and physically, everyday. Tribulus: the main benefit of tribulus is as a restorative which increases energy levels and stamina. It is particularly good for dealing with stress and nervous tension. It has a supportive effect on the reproductive system, enhancing libido and sexual function. Zinc: supports exercise performance. Low zinc levels have been shown to impair exercise performance in men. Zinc also plays an essential role in male reproductive health and in the production of healthy sperm. Adequate levels of zinc are important for the proper functioning of the immune system. B group vitamins: play an essential role in the metabolic processes of all living cells by serving as coenzymes in the metabolism of carbohydrates, proteins and fats to produce energy. The B group support the normal function and maintenance of the nervous system and are beneficial in times of stress. Damiana: has traditionally been used for relief of stress and anxiety as it has a tonic effect on the nervous system, helping to increase a sense of wellbeing. It strengthens the male sexual system, improves stamina and assists with relief from anxiety related to sexual disturbances. Damiana has traditionally been used as an aphrodisiac. Milk thistle: supports normal liver function and has a protective effect on cell membranes due to its strong antioxidant and free radical scavenging action. Traditionally used as a detoxifying agent, it supports regeneration of liver cells and protects against potentially harmful substances such as alcohol. Ginkgo: tones and helps to normalise peripheral circulation. It increases the fluidity of blood and has a vasodilating (relaxing) effect on blood vessels. Ginkgo has been used to relieve symptoms of sexual disturbances where poor circulation is a factor. Vitamin C, vitamin E, zinc, manganese and selenium have antioxidant properties that may reduce the risk of cell damage attributed to free radicals.